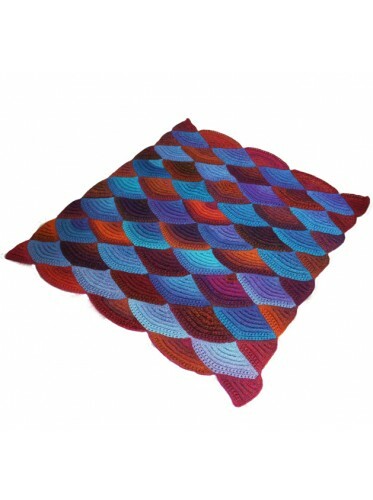 Sample is knitted with Jojoland Rhythm Superwash 100% wool yarn. Color RS39 (11 balls) and RS42 (10 balls). Total 21 balls. US size 7 (4.5mm) needle. Measurement is 39" X 41". It is knitted in individual shell shapes, stitches are picked up as each shell is being knitted. No sewing is required.